Duplicate - 50 sets of numbered forms per book. Book size - 200 x 125 mm - Feint Ruled. 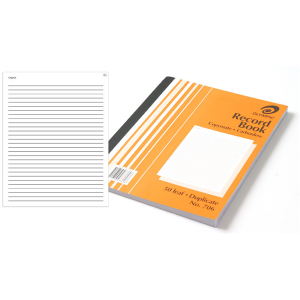 Pack of 10 carbonless record books. 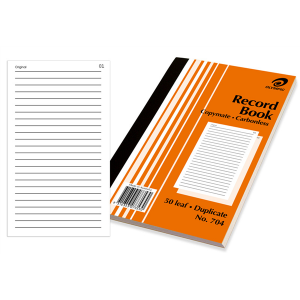 Instant triplicate record with no mess. Triplicate - 50 sets of numbered forms per book. Book size - 250 x 200 mm - Feint Ruled. 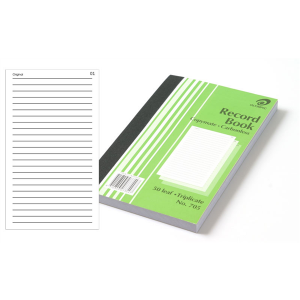 Pack of 5 carbonless record books.